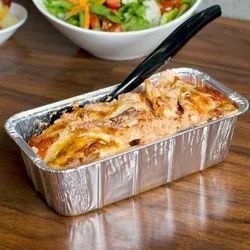 High quality Convenient and safe Disposable and recyclable Size These Aluminum Foil containers are made of high quality Aluminum Foil. These containers have high demand in the market. 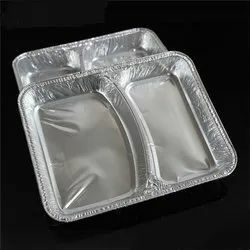 Aluminum Foil container can be used for Food Refrigeration, Fresh-Keeping. 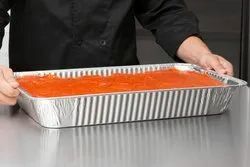 This aluminum silver foil container is ideal for storing food and keeping it warm. 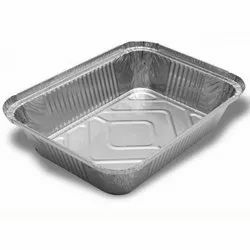 These foil containers are highly durable. 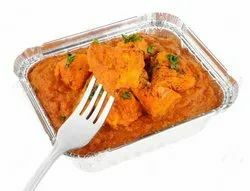 Aluminium foil containers are highly durable. 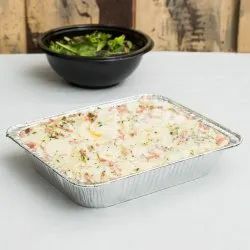 This aluminum silver foil container is ideal for storing food and keeping it warm for limited time. It is temperature stable, has excellent conductivity, is non-toxic, odourless and moisture resistant. Wrap on the go – designed for your convenience, Superwrap Pre-Cut Sheets are the perfect size for wrapping rolls, sandwiches and small meal portions. Superwrap Pre-Cut SheetsAvailable in 20/50/220/250 Sheets. Freshwrapp Aluminium Foil can withstand high heat and cold, making it ideal for use in cooking, grilling, packing and freezing in professional kitchens. Designed to meet the volume requirements of professional catering, restaurants and hotels, it is available in a range of economical options, giving you quality, quantity and value for money!